1. Shut down your HP G72 / Compaq Presario CQ72. 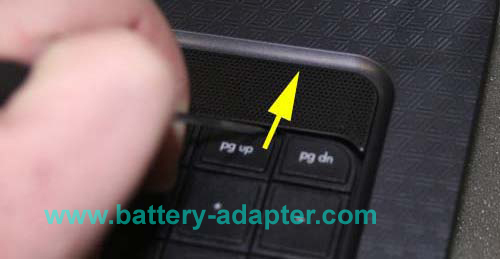 Unplug the AC adapter from the computer and remove the battery. Turn the laptop upside down, with the front toward you. 2. 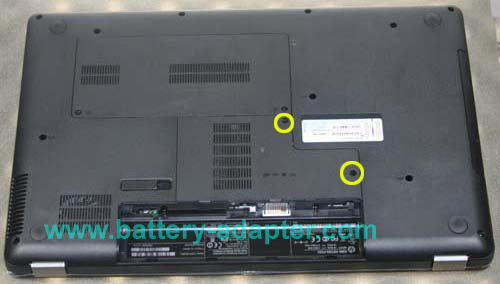 Remove the two screws securing the memory bay cover. Next, remove the cover. 3. 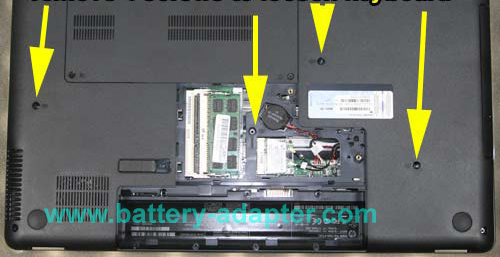 Remove the four screws as shown in the photo, which secure the HP G72 / Compaq Presario CQ72 keyboard. 4. Now, turn the laptop rightside up and open it up. There will be 4 tabs above the upper row of keys '? ', 'F4', 'F10', 'PGUP'. Push these 4 tabs back with a small flathead screwdriver. 5. Pull the keyboard frame upward and set the keyboard back toward the screen to gain access to the keyboard lockdown cable which is underneath it. Please note that there may be some resistance as some units were assembled with small strips of tape underneath the keyboard. 6. Finally, you will need to unlock the keyboard cable. To do this, lift up on the hinged lockdown clip approx. 90 degrees. Now, just slide out the keyboard cable. 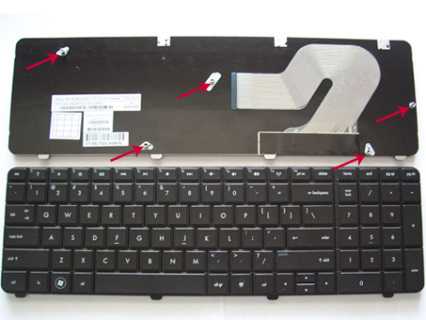 Reverse the procedure to install your new HP G72 / Compaq Presario CQ72 keyboard.